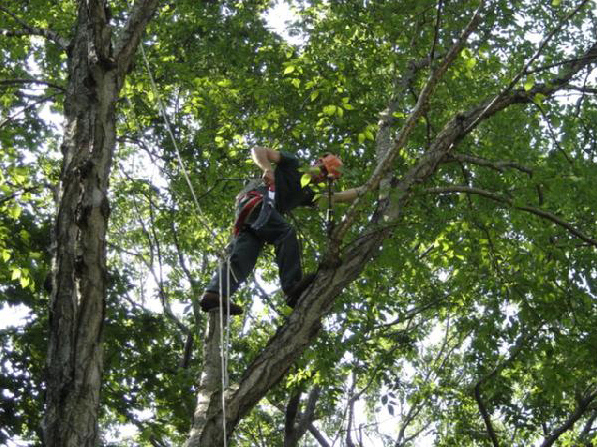 Pruning | Welcome to Connecticut Arborists! Often we prune for basic, safety reasons such as removing large dead limbs that are over public use areas. Other times we might want to prune evergreen borders in order to promote a dense privacy screen. Young trees should be pruned with an eye towards developing good structural form. Proper pruning will allow the tree to mature into a healthy, strong specimen. We can prune your trees to raise the canopies in order to get more light on plantings or lawn below, or clear them away from your house or other buildings.